Other than hosting jobs and producing content for my YouTube channel, the past few months have also kept me busy coming up with fresh content for DELLAA (check out our Facebook for all the goodies; website to be up soon!). We also just moved to a new office, which took up more time, and I have been actively interviewing people to join the team (hit me up on DELLAA’s Facebook if you’re keen!). On top of that, I try to keep up with the few things I prioritise: fitness, family and spiritual time. If you’ve been following me, you know that I prefer morning workouts as it starts the day right, energises me and also makes me feel like I haven’t “eaten” into my busy day by starting at a time when many are still asleep. However, netball season has started and I train two nights a week with two different teams – that means only five free nights left. Slot in family time (both for my own family as well as for my in-laws), time with my girlfriends (I need girl talk to keep me sane! ), time for religion (to keep me centred) and time for voluntary work (I have been committed to the same group for over 10 years now) and there really isn’t a lot of time left with the person who keeps me the happiest, most centred and most grounded. The husband is as busy as I am with a coporate job and many interests that also include team sports, family time as well as time on his drums. 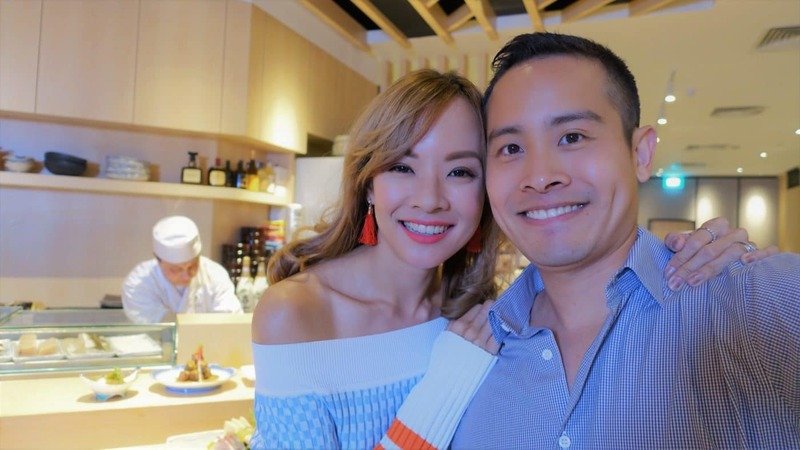 In all this busyness, we don’t get a whole lot of time together, so when I was offered a full day of food and fun for two at The Centrepoint Mall, I jumped at the chance! I was booked in for a hair styling session at Hair-Mori Salon to start – to pretty me up for the date! This is a Korean salon and my Korean stylist, Joel, gave me very K-pop-esque bouncy curls, which I love. A little peckish by then, but didn’t feel like anything too heavy (we knew there was a massage next, and it is really uncomfortable getting a massage when overly full), so decided to grab a light snack and a juice boost at The Café by HIIC. 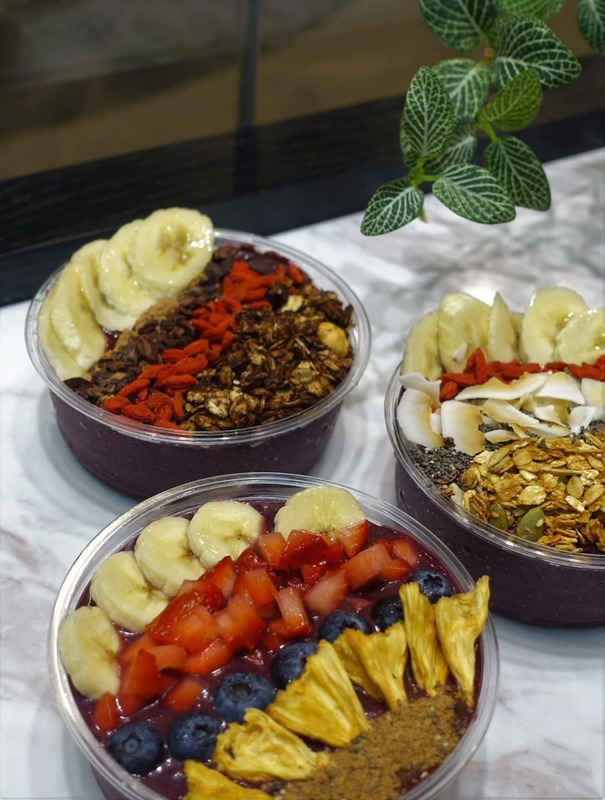 They have such pretty acai bowls, that we even packed some home for brekkie the next day! I felt very healthy after having one. Is this how people who make the choice to “eat clean” feel? Vitamins for the day, sorted and then some! Next stop was to Elements Wellness to relax with a couples massage session. My therapist, Jess, was very friendly, and I felt very comfortable and relaxed with her soothing voice and experienced hands. Way to start the day on the right note! We stopped next at dal.komm COFFEE so he could get his java fix – and I could get a drink as well. Fans of Korean television drama series would know that this Korean café chain was featured in the popular show, “Descendents of the Sun (D.O.T.S)“ (I unfortunately still have not made the time to watch this or any other Korean series!). This café at The Centrepoint Mall is its first flagship outlet. I like how they have a good variety of non-coffee drinks for non-coffee people like me! I got the very refreshing iced Honey Grapefruit – admittedly because I love honey (the grapefruit was more a way for me to act healthy, lol). It was a good balance of sweet with just a touch of tanginess, which is the way I like it. The honey is apparently harvested in-house, and each cup is topped with diced fresh grapefruit. Yums! Just outside the café is Origins, a skincare brand the husband introduced me to when we first started dating years ago (okay more like, a skincare line I discovered when I found it in his bathroom and helped myself to, LOL). The products I found then were the frothy facial wash and the charcoal mask, and I liked how both were gentle on my sensitive skin, yet worked to cleanse well. We stocked up on these and a few more items while there! I prefer to shop for clothes on my own (I’m one of those fussy shoppers who takes ages trying and deciding), so the final shop stop was Metro, where we had to pick up a few essentials like towels (ours are looking a little worse for wear). Homeware shopping is also something T enjoys very much – most of the rugs, candles, plants etc. in our home were bought by him! 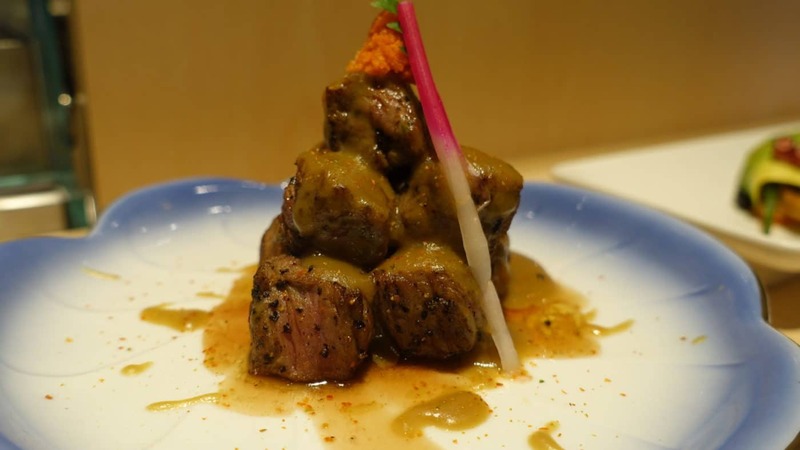 Finally, we rounded up our fun day out together with a dinner date at Kyoaji. 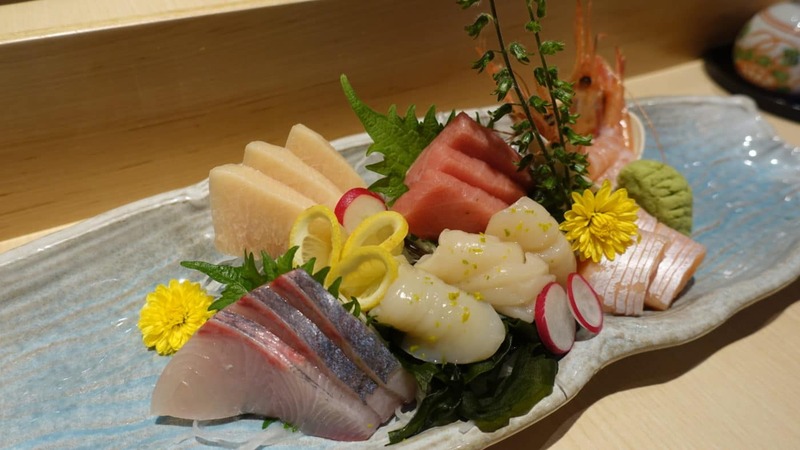 We both loved the freshness of the produce – check out that sashimi platter brimming with goodness from the sea! 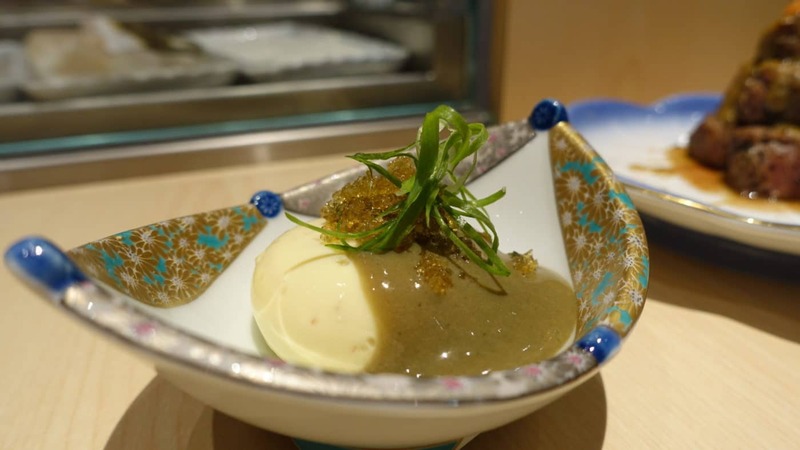 We also enjoyed the creative dishes prepared for us by chef John Phua, like this Kani Tofu (crabmeat beancurd) dish. The tofu is made in-house and is soft yet savoury. It gives way to the sweetness of crabmeat within, and is drizzled with a foie gras-tasting sauce on top. Sounds strange, but totally works! Another favourite was this Gyuniku Fagura Sauce (grilled beef with goose liver sauce). The beef was done to perfection, juicy, with the right mix of fat, and the foie gras sauce proved a very umami and decadent pair to the meat. We truly enjoyed our day together. Special thanks to The Centrepoint, Frasers Centrepoint Malls and Abigail from Burson-Marsteller for arranging this special date for us! Also, look out for an upcoming contest that will let you and your partner win all these fantastic treats at The Centrepoint! Check out my Instagram for more details.